A rugged design with easy-to-use Microcontroller Technology, this AC/DC hipot tests to 5,000Vac @ 10mA and 6,000Vdc @ 5mA. Tested to withstand a 6" drop test with no damage. Made in the USA. 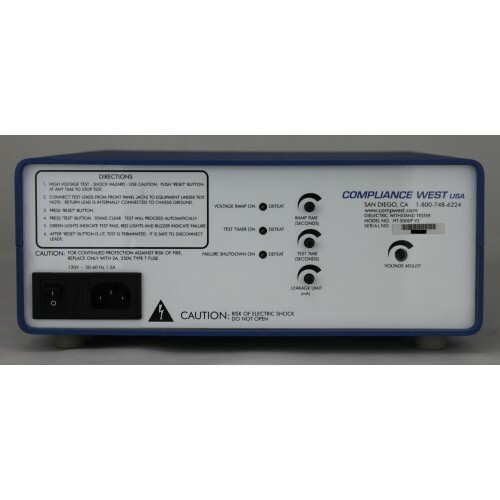 Includes NIST traceable calibration certificate. Not sure - contact us! AC output: up to 5,000 V.
DC output: up to 6,000 V.
Microcontroller Technology, one button test, easy to set up. LED's indicate test progress. Upon failure, buzzer sounds and testing is terminated. 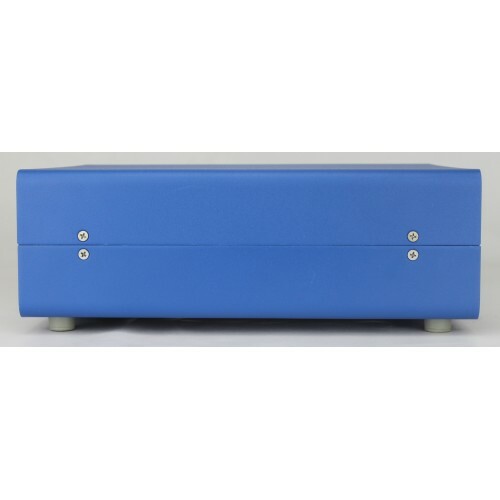 Leakage current limit, voltage ramp-up time and test duration are controlled from the rear panel. 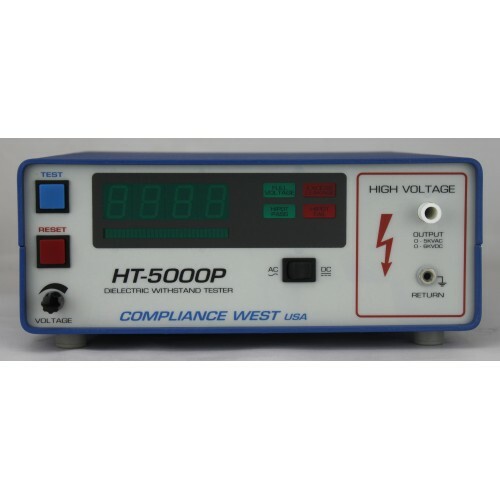 Voltage ramp, arc detection and test timer are defeatable. Rugged construction that can withstand a 6” drop with no damage. One year calibration cycle, one year warranty. For Specifications, see Datasheet above. 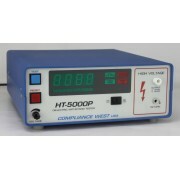 Hipot Tester, 0-3000Vac @ 10mA, 0-4200Vdc @ 5mA and Adjustable Ground Continuity, UL Listed!